On Tuesday, the New York Times claimed in a report that the Trump administration was attempting to redirect resources of the Justice Department's civil rights division toward suing universities whose affirmative action admissions policies are deemed discriminatory toward white applicants. Upon the story's release, social media erupted in a furor over the leaked internal document obtained by the Times, which stated that the civil rights division is currently seeking lawyers to work on a new project on "investigations and possible litigation related to intentional race-based discrimination in college and university admissions." However, on Wednesday, DOJ spokesperson Sarah Isgur Flores denied the veracity of the claims made by the Times, saying in a statement, "Press reports regarding the personnel posting in the Civil Rights Division have been inaccurate. The posting sought volunteers to investigate one administrative complaint filed by a coalition of 64 Asian-American associations in May 2015 that the prior administration left unresolved." She further noted that the DOJ has not received or issued "any directive, memorandum, initiative, or policy related to university admissions in general." As Buzzfeed explained, the complaint Isgur Flores is referring to was filed in 2015 by a coalition of 64 Asian-American groups. Those groups claim that Harvard University imposed race-based quotas on admissions, including quotas on Asian students. The complaint was dismissed in 2015, according to Buzzfeed, because a similar suit filed by the anti–affirmative action group Students for Fair Admissions had already been filed in federal court. "It's the most prominent of the affirmative action cases, the one that's galvanized the most debate and discussion," Edward Blum, an anti–affirmative action lawyer, told Buzzfeed when asked about the Harvard lawsuit. 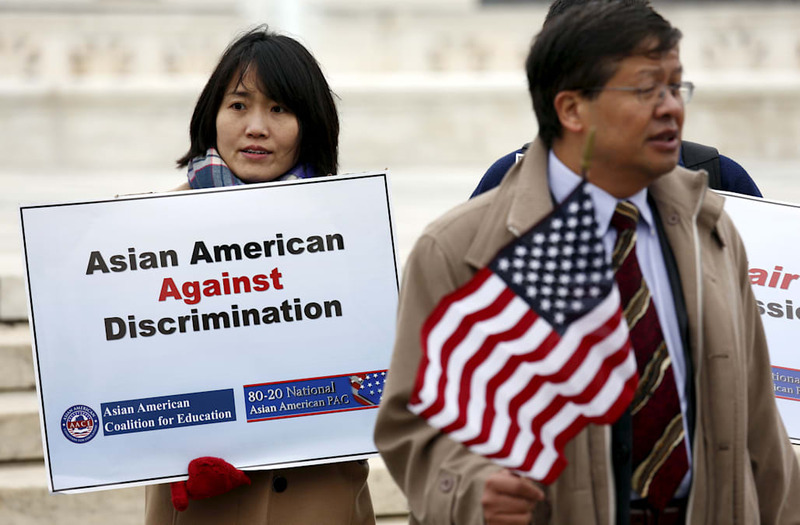 "That lawsuit is specifically about Asian quotas — it has nothing to do with white students." In September, Harvard filed a motion to dismiss the case in federal court, however that motion was rejected on June 2, the Harvard Crimson reported. At the time, U.S. District Judge Allison D. Burroughs ruled that the Students for Fair Admissions had the "associational standing necessary to pursue this litigation."